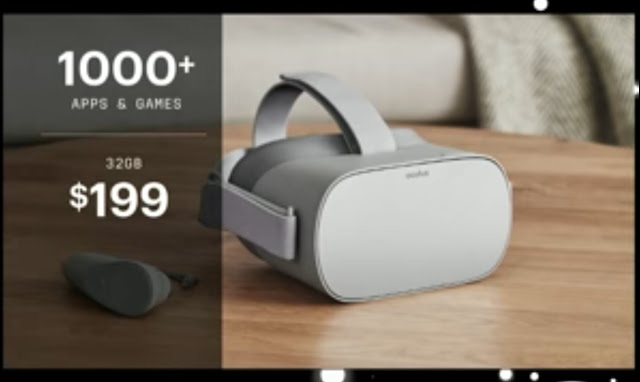 F8 2018 developer conference in San Jose, Facebook launched its first standalone VR headset, Oculus Go. 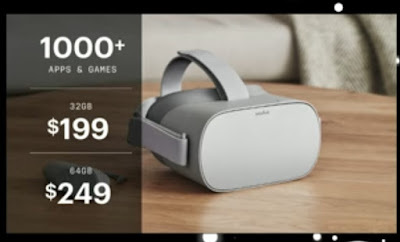 The Oculus Go, a self-contained headset that offers mobile virtual reality without a smartphone, is now available in 23 countries. The headset’s $199 base version has 32GB of storage, and a 64GB version will sell for $249 and is available at Oculus store, as well as Amazon, NewEgg, and Best Buy. The device is essentially a Gear VR without the smartphone, there’s no other hardware needed to get started. Everything you need is already built into the headset. It tracks head rotation, but not full motion, and it uses a remote control with limited pointing abilities. Its content library consists of the same games and apps as Gear and the two are binary compatible, meaning any developer working on Gear content can release on Go too. The hardware looks like a slimmed down version of the PC-based Oculus headset. The Oculus Go will not use an OLED panel like many VR headsets. Instead, it has a 2560x1440 fast-switch LCD. A listing for the Oculus Go appeared on Amazon, but it quickly became unavailable.